Hi and Hello! My name is Brie (like the cheese) and you can find me blogging over at like-the-cheese.com, a place where I can catalog my favorite projects and post anything I’m passionate about. A bit about myself? 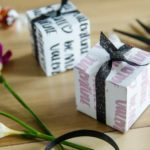 Well, I’m a twenty something year old Utah’n who loves anything that deals with DIY crafts, parties, yummy food, paper making, decor, design and really good photography. I’ve been married for 5 years now to a good look’n hunk, whom I gave my number to at a bakery I used to work at (written on a PB&J sandwich). A cute side note, we were married in that very same bakery just six months later (AW). Together we have a fur child named Bowsky (yes, named after the ‘Dude’ from The Big Lebowski) and I also have a love for Dr. Pepper and chocolate (insert flavor here) cupcakes. Okay, enough about me. I’m so stoked that Colleen asked me to be a contributor for this ah-mazingly great blog, Lemon Thistle. Yowza! Such an honor. Thanks so very much for having me. I’m equally as stoked to share a project that I’ve designed exclusively for the lovely readers of Lemon Thistle, and I’ve been so antsy to share it with y’all today. Shall we get down to business? 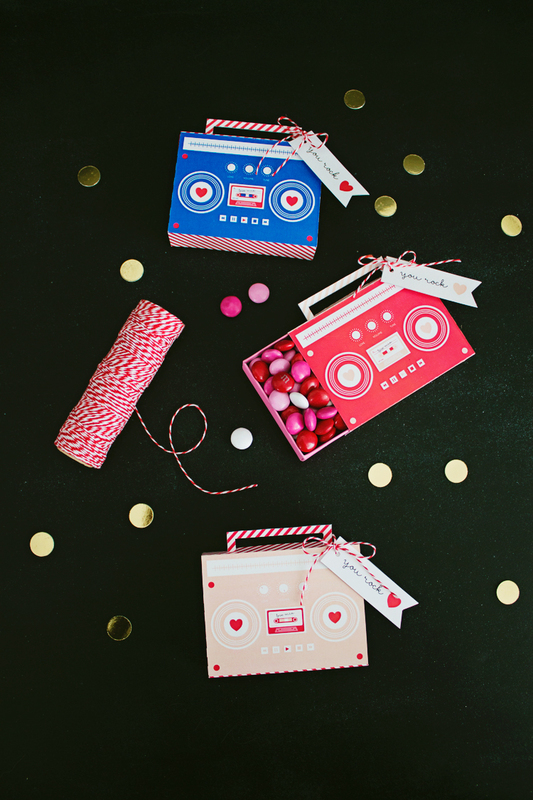 Okay, if you’ve been to any craft store or dug through the Target dollar bins, you’ve seen these cute mini treat boxes that seem to be EVERYWHERE, especially for Valentine’s Day. They either come in a four pack of the mini mini’s or they come in a bigger size, which is a two pack (from what I’ve seen at Target, Michaels and Joann’s). Now they’re cute and all as is, but I wanted to reinvent them a bit (you can see my obsession HERE). Jazz em’ up if you will. So I shed their pre-packaged paper jackets and dressed them up in something a bit more rock n’ roll. 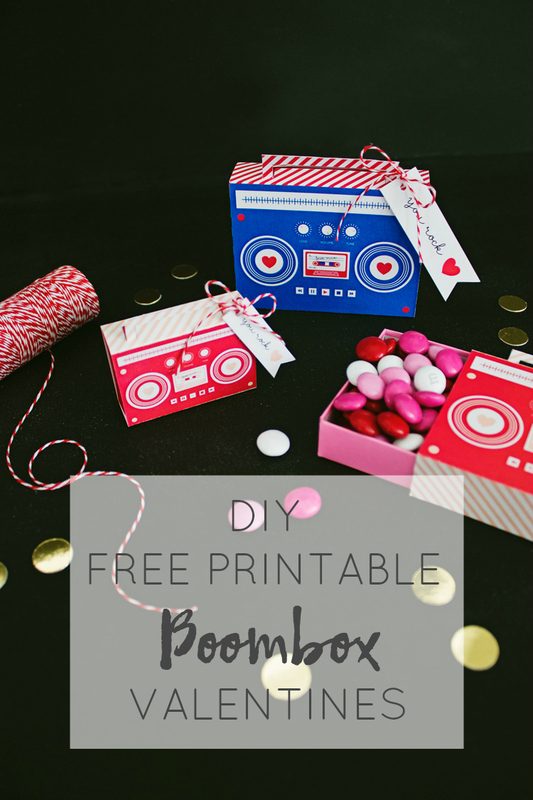 I came up with these printable boombox sleeves, that come with a YOU ROCK tag, that attaches to their wee lil’ boombox handles. Just perfect for Valentine’s Day if you ask me. I designed two different sizes in three different colors (the hot pink being my favorite) and they are available for download below. Oh, and did I mention they’re free? Yes! Love freebies! 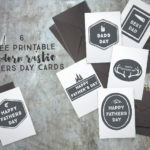 If you think your child would love to ROCK these Valentine’s Day “cards” at school this year (I know my inner child does), scroll on down for the supplies/instructions and get rock’n. Step 1: Download and print the template of your choice. 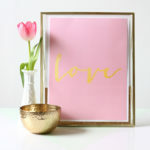 Follow the dotted lines and cut out using scissors, or if outlined you can use your Silhouette or Cricket. Step 2: Score along each printed seam until you’ve made 4 score marks. Now easily fold to form a box. Step 3: Unless you’ve used a Silhouette or Cricket to cut the handle, you will need to do this by hand. I’ve done it both ways, and it’s easy peasy. Using an xacto knife, cut the lines of the handle and bend TOWARDS the boombox. Viola. Step 4: Glue together the striped tabs at the end of each side to secure the box. 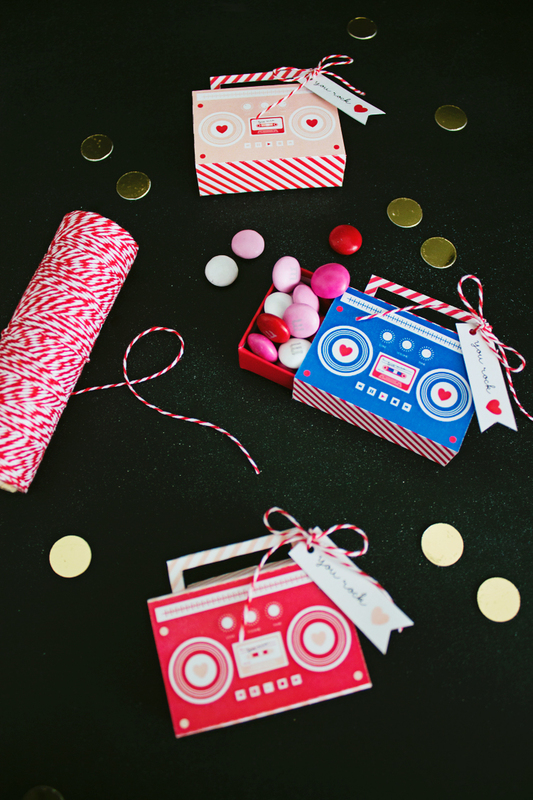 Step 5: Hole punch the dot on each ‘You Rock’ tag and tie to the boombox handle using bakers twine. 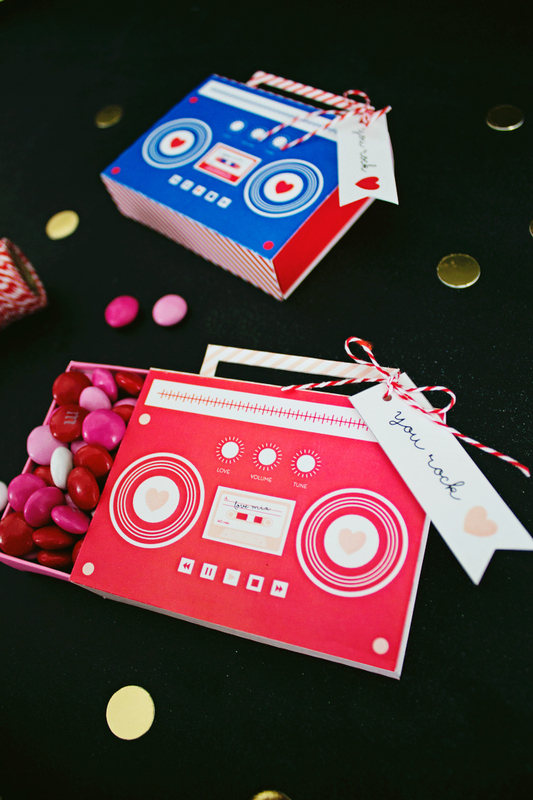 Step 6: Fill the treat box with the Valentine’s candy of your choice and push the treat box back into the boombox sleeve. You’re done and ready to rock! I left the opposite side of the boombox blank if you would like to handwrite TO: (insert child’s name) and FROM: (insert child’s name) and give credit where credit is due. 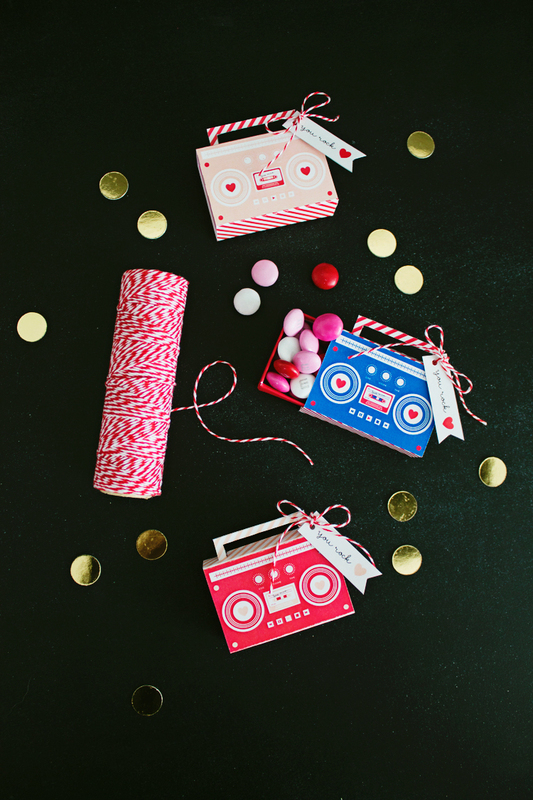 All the kids are going to want to know who gave them these SWEET boombox’s full of goodies inside. Ya know?! So, what did you think? My inner rocker/hipster loves em’ and I actually have a couple displayed on a shelf in my living room. They’re THAT cute. 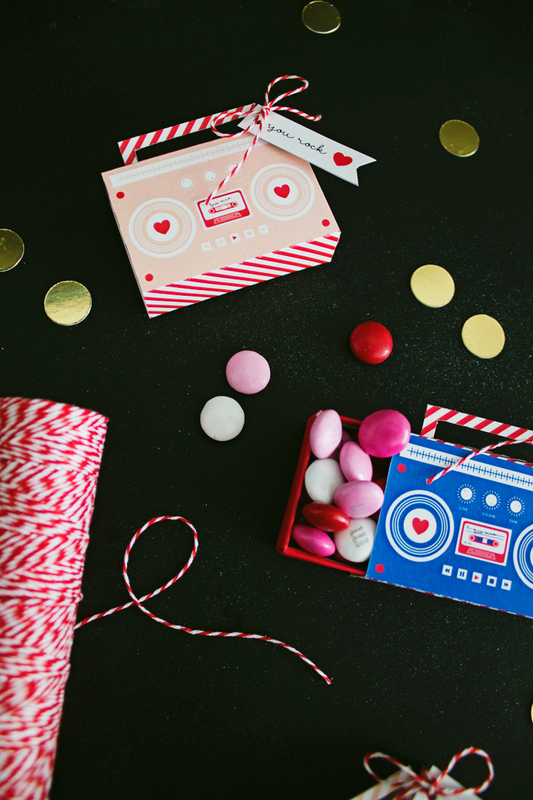 I’m dig’n all the details like the love mix tape, the love tuner knob and the little heart speakers. I also love the pinks for the girls and the blue for the boys. They’re also super easy to make and cheap cheap, which is always a huge plus for me. I can’t wait to chat with you all next month and share some more DIY goodness. Have a fantastic Valentine’s Day. Treat yourself to a chocolate cupcake for me! Until next time, Brie (like the cheese). These are so cute! They speak right to this 80’s girl’s heart. Hey thanks Janet! They speak to this girls heart as well! You did such an awesome job Brie! Thanks Gilly! So nice of you! Very 80’s indeed! I HAVE to make these for my little! 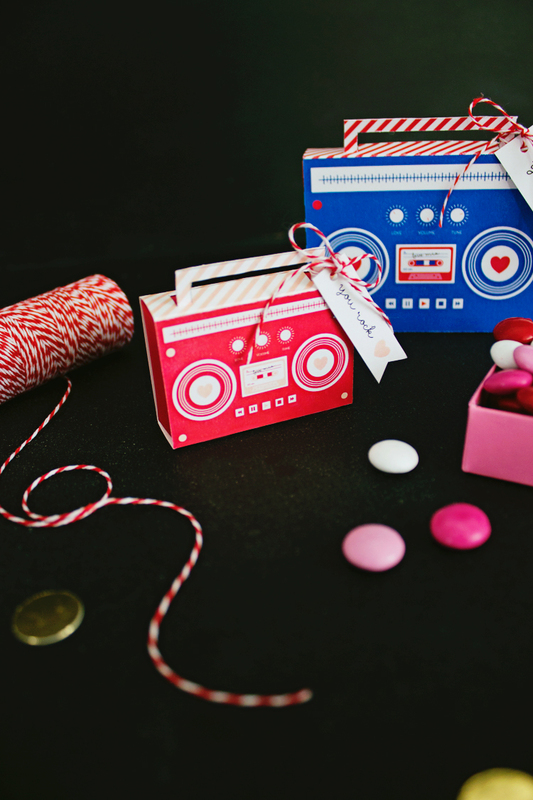 Love the 80’s throwback, these are so creative!!! Brie knocked it out of the park with these, right!? If you did end up making them- we’d love if you tagged us in a photo to see! Hi Sara, I just spotted your email- thank you for the tips! A contributor (the lovely Brie) made this for me a few years ago, so I’m not sure exactly which boxes she used for it.